I like dressing up. It is so much fun and it makes me feel better. What is the point of looking scruffy?. I rarely wear track suits and in my eyes trainers belong to the gym, not into your wardrobe. But sometimes the occasions calls for being casual or for any other reason, being dressed up just wouldn’t be appropriate. That doesn’t mean you can’t still be stylish though. And the good news is Nicolas Ghesquier thinks the same. 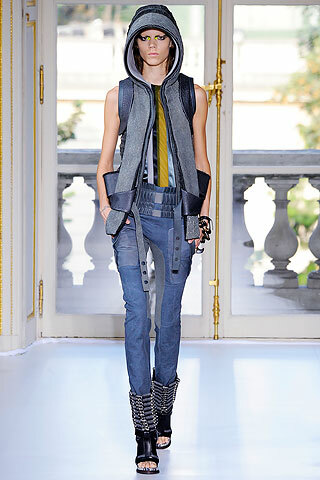 His Spring/Summer 2010 collection for Balenciaga show you exactly how to achieve this. Looking dressed down, comfortable, but not loosing the glamour. It’s seriously cool and I love it all. Casual clothes never looked better. Previous Post Having winter blues?